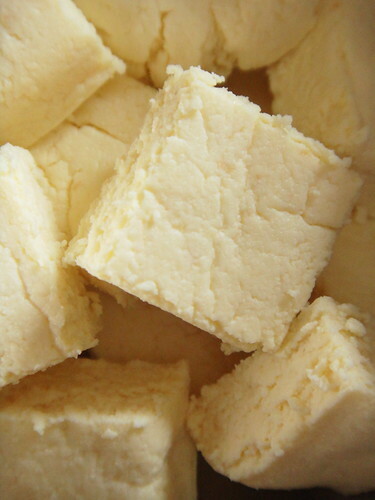 The one vegetarian dish I always order whenever I am eating out at an Indian restaurant has to be paalak paneer. 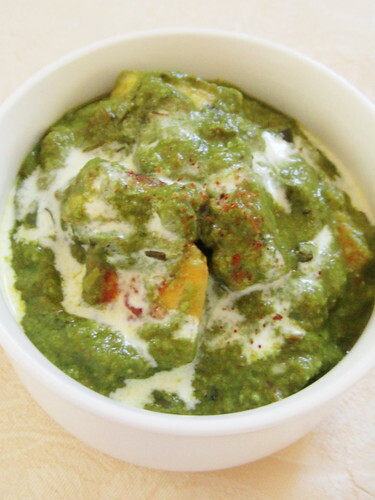 Though I may sometimes be tempted by dal makhani or baigan bharta when I look up a menu card, my final choice has to include the famous spinach gravy from North India even when I happen to order a thali meal for a quick lunch. 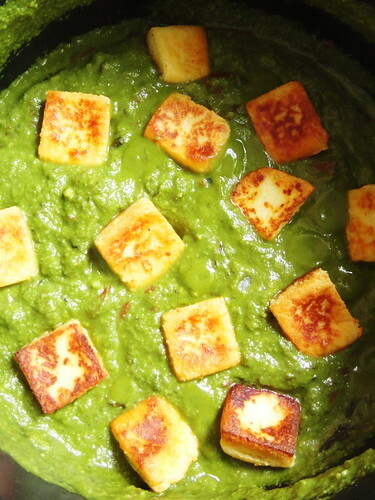 With time, I learnt to make paalak paneer at home combining young spinach leaves from the local market and freshly made cottage cheese to match the ‘restaurant’ taste and texture of the restaurant of this favorite dish of mine. The recipe, from MyFoodStory, is one I have used many times with consistently outstanding results using minimum effort. 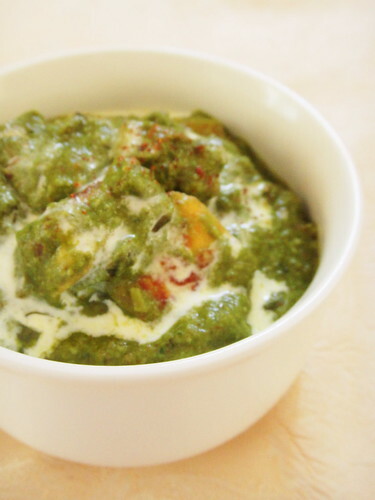 The bright green spinach colour comes through nicely and the gravy gets much of its creamy texture from a blend of cashew nuts and tomato puree, which is best enjoyed along with a spicy masala curry and piping hot naans. 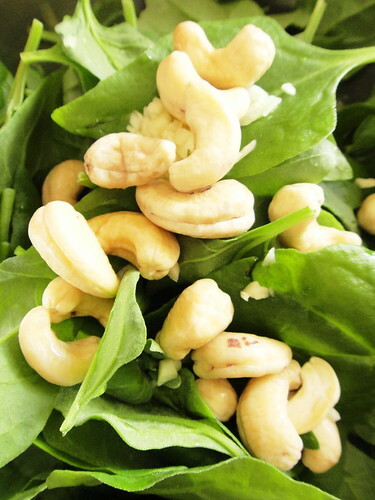 Blend together fresh spinach leaves, chilies, ginger, garlic cloves and cashew nuts in blender. Add 1/2 cup water and blend till smooth. Heat olive oil in a pan, add cinnamon and bay leaf. 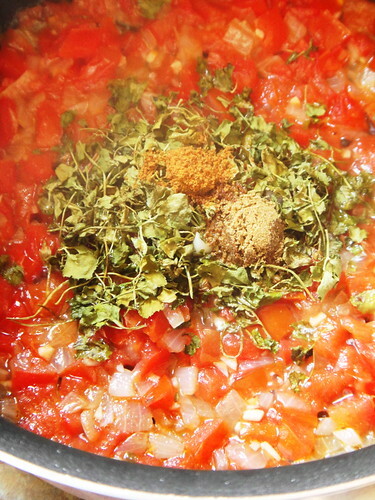 Add cardamom pods and saute the spices for one minute, then add minced garlic and onions. Cook onions till they are translucent and add tomatoes, coriander powder and salt to the pan. 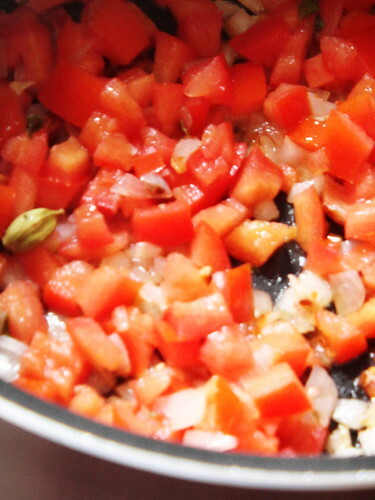 Mix and cover and cook for 8 to 10 minutes till the tomatoes are soft. 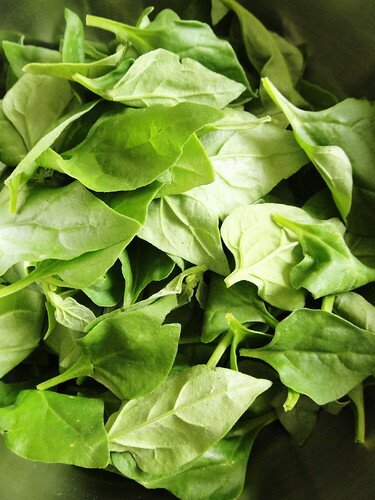 Pour in spinach mixture. 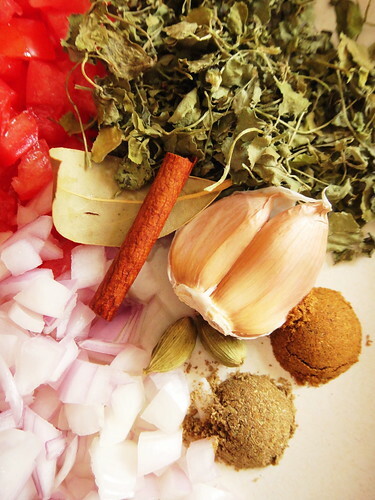 Add kasuri methi to the pan and mix well. Bring to a boil and turn the heat down to a simmer. Cover and simmer for 8 to 10 minutes. Check for seasoning and add more salt, if it is required. Add cream and paneer to gravy. 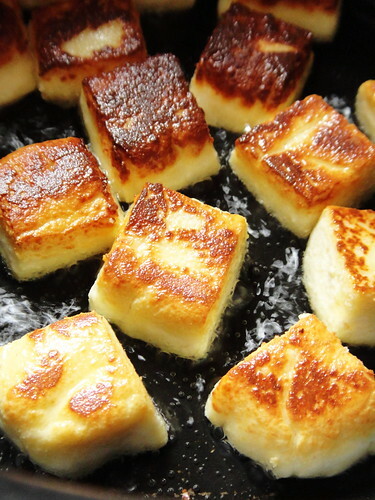 Mix gently so as not to break paneer and cook for one minute. 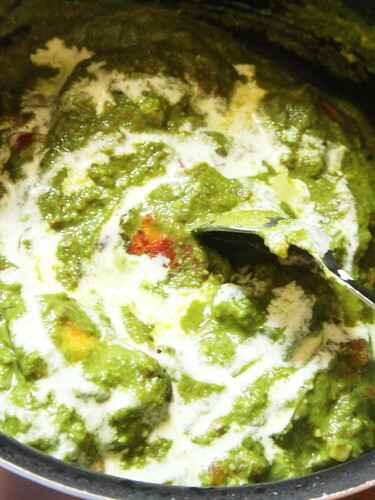 Ladle the palak paneer into a serving dish and serve hot with naan or rice. Makes 6 servings. Unauthorized use and/or duplication of material from Inspiredtobake without permission from the author is strictly prohibited. Excerpts and links may be used, as long as they redirect to the original content on this blog. I see on your pictures that you have fried the paneer first but it’s not mentioned in the recipe. Is it compulsory?